ARPPRODUCTICON.exe is a legitimate file developed by Acresso Software. It is part of InstallShield and is used by some software companies to execute important process. It is typically located in c:\program. Malware programmers write malicious programs and name them after ARPPRODUCTICON.exe to spread malware on the internet. How to check if your computer is infected with ARPPRODUCTICON.exe malware? Step 2: If you notice that the ARPPRODUCTICON.exe program is located outside the designated c:\program file, you should run an antivirus scan on your PC to get rid of the malware infection. How to remove ARPPRODUCTICON.exe malware from your system using Comodo Antivirus? 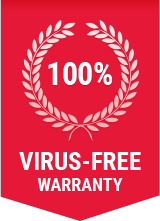 Step 1: Download the award-winning Free Comodo Antivirus. Step 8: Comodo's virus protection software will remove the ARPPRODUCTICON.exe virus from your computer including all other malwares!